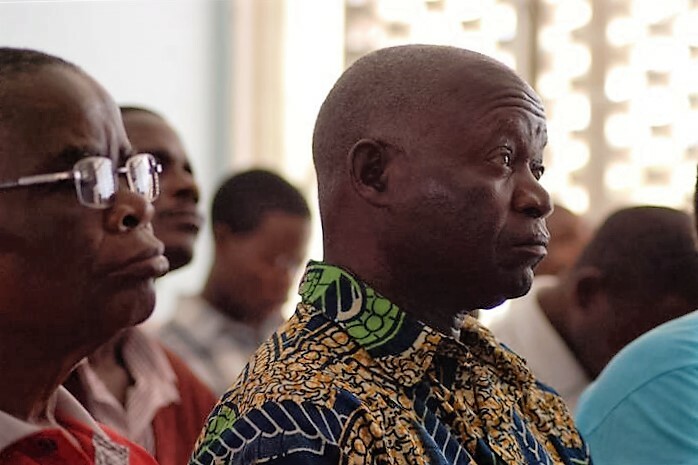 The Malawi Mission Initiative (MMI) is starting to gain some momentum as it looks to encourage Malawian Christians to step out in faith to undertake the Great Commission. Already it has successfully run a seven-module Mission Training Course in Blantyre and there are plans to run this again, this time in the country’s capital Lilongwe, to help the many people from the northern part of the country to take part. In addition, MMI is also working with the Evangelical Association of Malawi (EAM) to promote the third SIM Malawi Pastors’ Book Set Conference (PBS) in November. This PBS will take place in the northern city of Mzuzu. 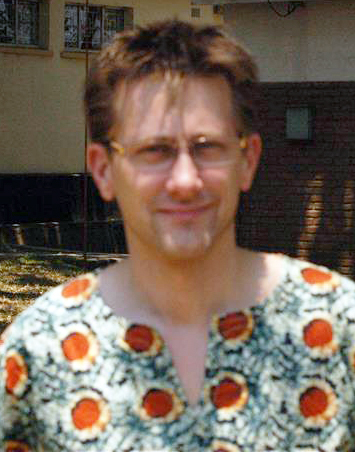 As with the PBS events in Blantyre in 2012 and Lilongwe in 2013, the Mzuzu PBS will concentrate on the topic of mission and will include a number of speakers expert in this vital area of church life. 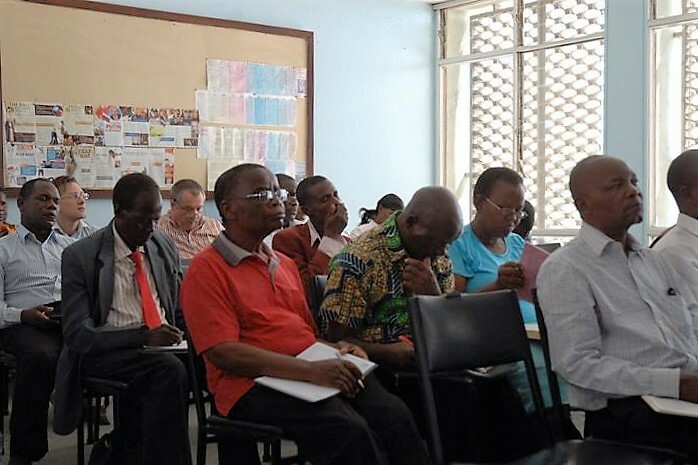 The first MMI mission course, consisting of seven seminars running once a month from October 2014 to May 2015, saw a number of Malawian pastors and missionaries address mission-relevant topics: mission strategies, culture and mission, financial strategies, mission in a Muslim context and in context of African Traditional Religions (ATR), mission and leadership, mission and church-planting. An average of 60 church leaders attended the series of one-day seminars. One of the key players in the development of the MMI Mission Course was Nico Bontenbal and he spoke to Malawi Amoto about the course. What is your role in the MMI training? My role, with the help of some others, was to plan and design a curriculum to train Malawian pastors for Mission across the borders of Malawi. We prepared the individual topics for the seven seminar days. Each day started with a topic-related Bible study and contained prayer for the persecuted church. As a result of the two Pastors’ Book Set Conferences in 2012 and 2013 we had a group of around 1,600 people who were interested in Mission. We knew from this group that at least 300 showed an interest in doing Missions across borders themselves. So we invited them to this course. Most of the participants came from the Blantyre region; however, some came from the capital Lilongwe or even Mzuzu, far up in the north of Malawi. What is the impact of the course? So far, we have had a group of 40 people who attended more than four times out of the seven seminars, and others participated occasionally in the other meetings. But in total we impacted a group of around 200 participants. Time will show what fruit will grow out of these seminars. We have been asked by many people to continue this course so we see that there is a growing interest in Mission across the borders. One lady told me that she has already started a mission project within Malawi to evangelise among her own people. We also have a group of Bible College students who attended all the meetings. They were very eager to learn. When one of them missed one seminar, he asked us for the audio recording of those sessions so that he could catch up on the material that was covered. We are now in contact with the college to make this course available for all the students. Which topic made the most impact? Many participants were impressed by the Bible studies and the topic about mission and culture. Other topics which seemed to have made an impact were on church planting and contextualisation. For many people it was an eye-opener to see the relevance of culture and contextualization. This was not only helpful for mission across the borders but also for their work as pastors in local churches. What can people reading this pray about for MMI as it goes forward? Give thanks for each participant at the MMI mission seminars. Please pray that what they learned will trigger them to be an advocate for missions in their church denomination and to get involved in the Great Commission. Please pray for all the preparations for the major PBS Mission Conference in November, aiming at reaching about 350 church leaders. Please join us in prayer for the Lord’s provision for the financial needs of this project.